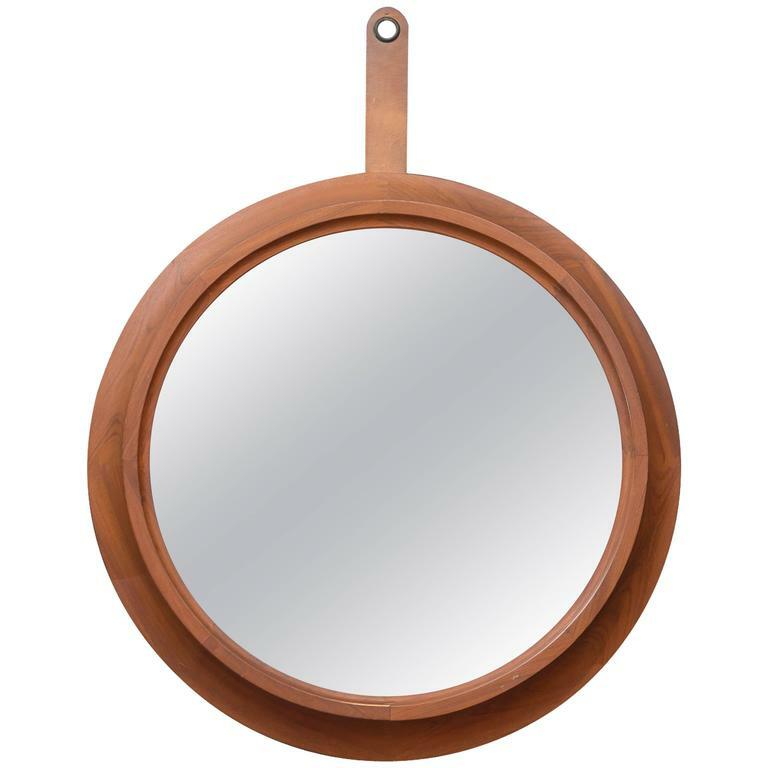 High quality design Danish modern teak wall mirror with a leather strap. Rare large size teak wall mirror designed by Uno & Osten Kristiansson, Sweden. 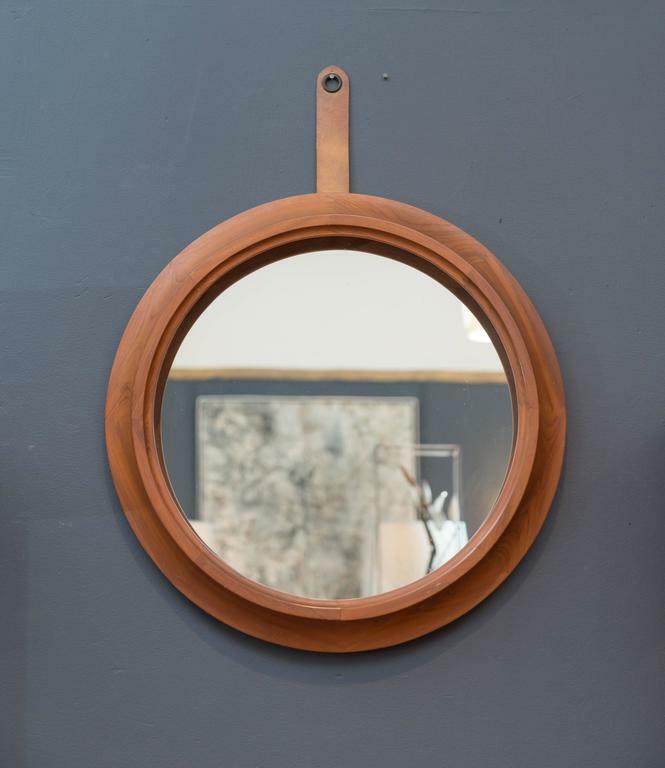 Round mirror in teak and leather designed by Uno & Östen Kristiansson. Produced by Luxus in Vittsjö, Sweden. C.Jere chrome faceted mirror, signed by artist. Vintage French black leather round wall mirror, circa 1960s. Unusual wavy edged midcentury teak mirror. Would look great in a hallway or a above a side table. 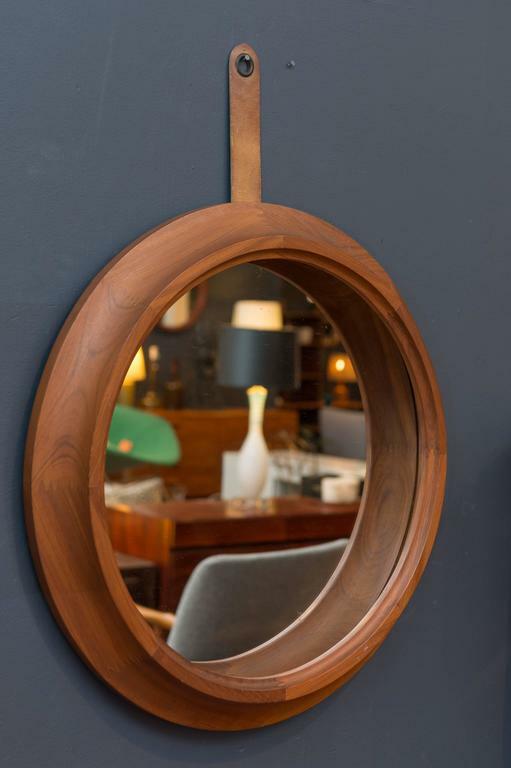 Small spaces always look bigger when you put a mirror on the wall; a mirror like this shield shaped Danish modern teak mirror. 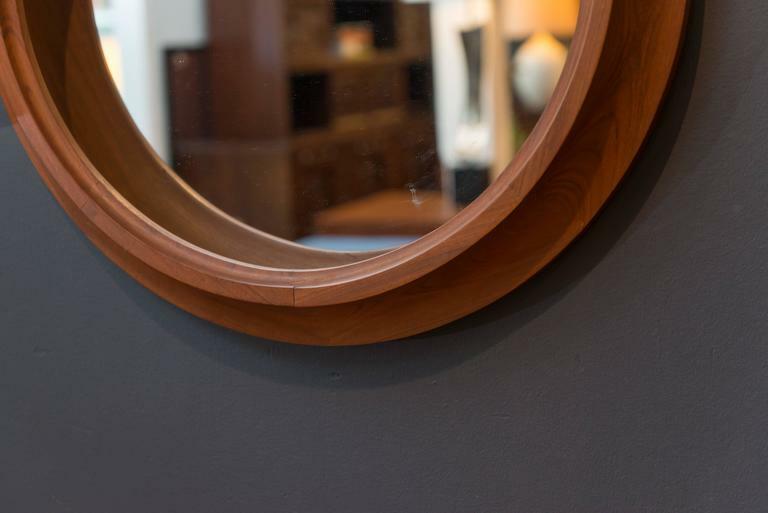 Check your goods while you're coming and going with this Danish modern fir mirror. It's the perfect piece for a transitional space like an entryway or upstairs hallway. 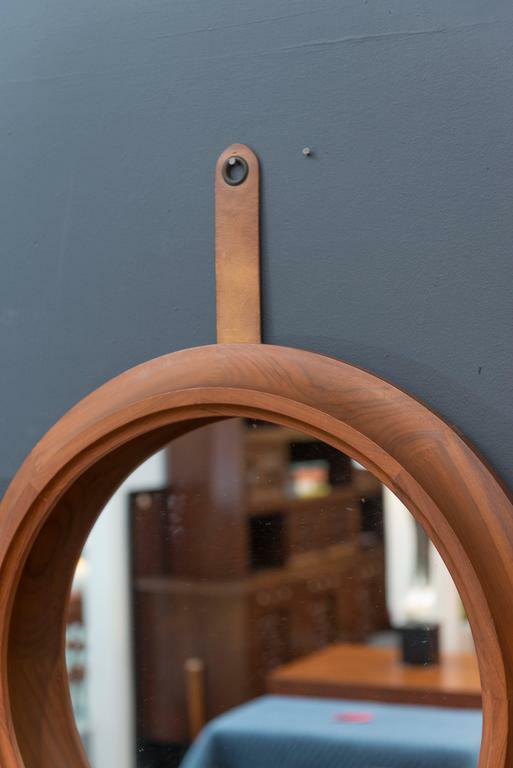 Elliptical mirror set in a complementary wood frame.